What more could you want than football, chili and something pumpkin when it’s a cool, fall/wintery rainy, Sunday night? Ummm…nothing, nada, zilch. I found the chili recipe on Allrecipes, and used turkey and turkey sausage instead of bison because I couldn’t find any bison at the market I was at! 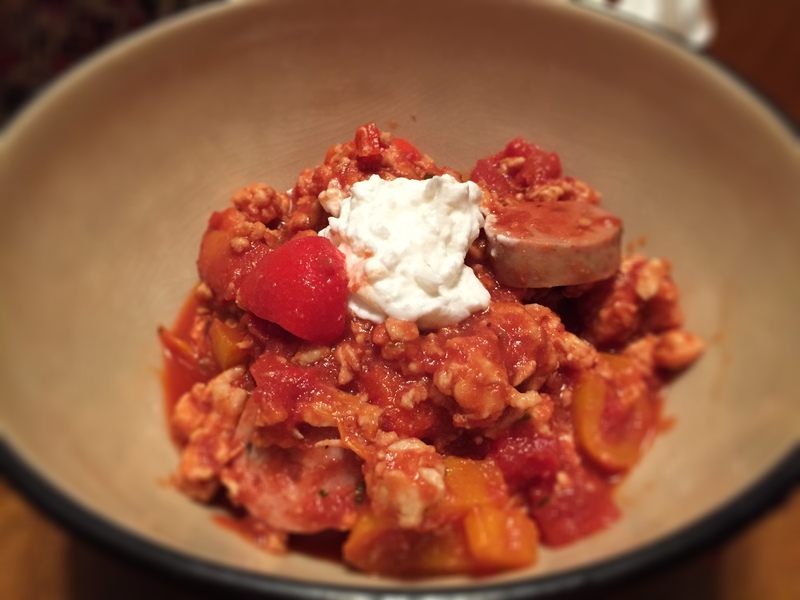 The original chili recipe is paleo, but it was quite spicy, so I added some Greek yogurt to cut the spiciness. Perfect. 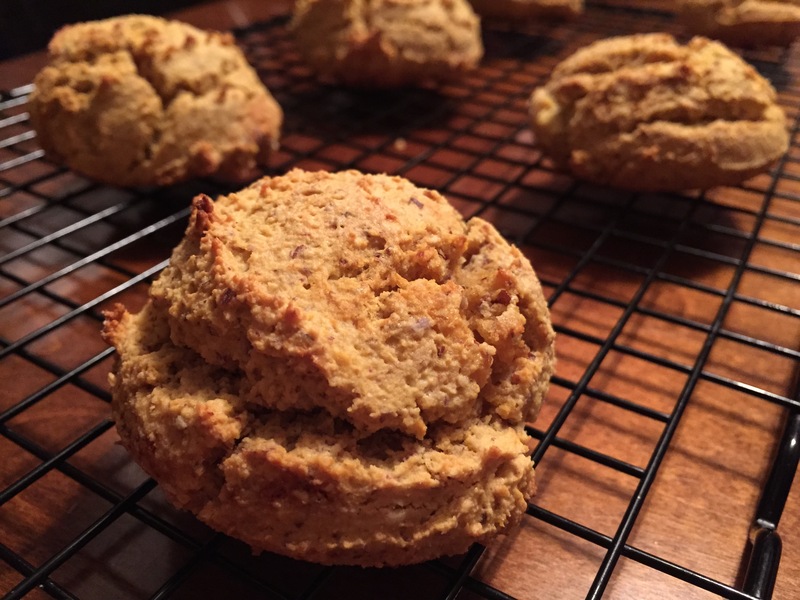 To go perfectly with the chili I found a beautiful recipe for paleo pumpkin biscuits, and I literally cannot stop eating these things!! These are so good that I’m going to make these for Thanksgiving as well. I mean – SO good. They are almost dessert-ish too. Throw some butter and honey on – mmmmm, but they don’t even need that! I found this on Lexi’s Clean Kitchen – check out this blog – amazing recipes on there!! I changed a few things from the original recipe based on what I had available, but oh so good! Melt coconut oil in a large pot over medium heat. Cook and stir bell peppers until tender, 5 to 10 minutes. Stir garlic into mixture and cook until fragrant, about 1 minute. Stir turkey and sausage into the garlic mixture. Cook and stir until meat is cooked and crumbly, 10 to 12 minutes. Stir chili powder, cumin, oregano, cocoa powder, and Worcestershire sauce into the bison mixture; add crushed tomatoes, salt, and pepper and stir. Bring to a boil, reduce heat to low, and simmer until flavors are blended, 10 minutes. ← Viva Las Vegas Marathon!